After a memorable holiday in a winter wonderland, you return home with a luggage full of winter jackets, ski wear and woollies. The challenge now is to have these winter wear cleaned well and stored away for the next trip. The key to maintaining the condition and prolonging the life span of your winter wear is to clean them well and store them right. Jackets and overcoats are often expensive. Having them cleaned by a professional dry cleaner will help to protect your investment and keep your favourite winter wear in optimal condition. Winter clothes are made of different materials and have special features to keep you protected from various cold conditions. There are essentially three layers in a winter jacket: the outer shell, the insulating fill and a lining. The main function of the outer shell is to keep out wind and moisture. Hence, most outer layers are made of tightly-woven synthetic materials with a coating, to allow your perspiration to pass out but to prevent outside moisture from getting in. This outer shell layer doesn’t do much to keep you warm - it’s main job is to protect the insulation inside. A popular filling for winter jackets is down, a layer of fine feathers under the tougher exterior feathers of goose or duck that provides excellent insulation. Down is excellent for heat retention, but doesn’t do well when wet. Synthetic polyester is also used for jacket insulation - it is often less costly but still effective. 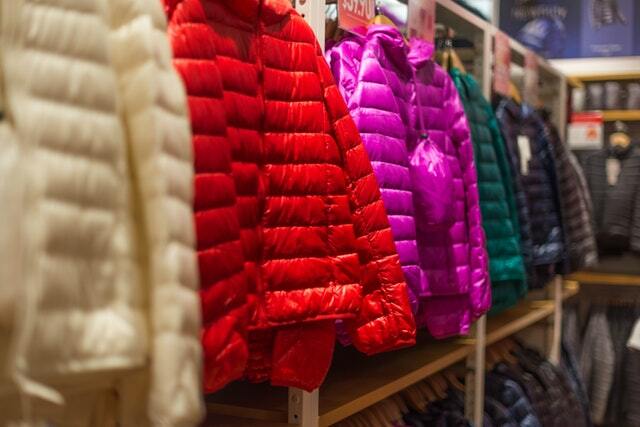 Jackets with polyester filling are usually heavier and less compact than down jackets. The inner lining that comes into contact with your skin may seem like the least important, but it actually handles most of the initial heat retention. Some jackets have a reflective lining which works to bounce heat back into your own body. Many jacket linings can also wick moisture away from your skin, keeping you dry and warm. Cleaning winter clothing can be somewhat complicated, because different materials require different cleaning methods. Some contain natural or synthetic fur trimmings as well as leather, suede and velvet parts, which require special handling. Down jackets and irregular-shaped items like hats and ear muffs require re-shaping before drying. Drying winter clothes is a slow process and requires the right temperature, which can be challenging in humid Singapore. Improper cleaning may cause damage to the fibres and fabrics, and leave a musty odour. At Keep Calm and Laundry On, winter wear items are handled by experienced members of our technical team. We inspect your items before processing and highlight stain and defects for your attention. We select the most appropriate method of cleaning depending on the make, material and design of your cold wear items. Keep Calm and Laundry On provides doorstep pick up and delivery service, so you don’t have to lug your bulky winter clothes to the dry cleaner and make another trip to pick them up after dry cleaning. We welcome new customers with a 20% first trial discount - another reason to give us a call today! Besides winter jackets, we also clean a wide range of cold wear items, such as overcoats, trench coats, fleece jackets, cashmere and merino wool sweaters, ski wear, gloves, beanies and scarves. We also receive requests to clean travel neck pillows and luggage covers! How long does it take to clean your winter jacket? Here at Keep Calm and Laundry On, we want to ensure that your cold wear items are thoroughly cleaned and dried, so we request a turnaround time of 7 working days. Express turnaround of 4 working days is possible with selected items that can be processed quicker. ​Get in touch with us for a free consultation on how to care for your winter clothes!